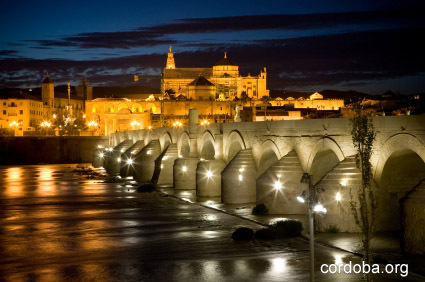 The city of Córdoba is one of the most visited in Spain, both by the Spanish as well as the foreign tourist. And no wonder, thanks to the quantity of monuments and history lodged in its streets, it has been declared World Heritage by UNESCO. Only Córdoba can boast of having received a prize to its beauty between the Andalusian provinces. It also holds the privilege for being the western city that has the biggest Mosque, at the same time; it is the main tourist attraction of this province. But many more reasons exist as to why this city has charm. To know what you must visit in your next trip to Córdoba take note of our suggestions. The streets of la Judería of Córdoba are very visited by travellers. It was a district where the Jewish lived in the time in which Córdoba gave refuge to inhabitants of three different religions: Christians, Jewish and Muslim. It is found North East of the Mezquita and, in its streets we can find monuments such as the Synagogue, the Bull fighting Museum and the Municipal Zoco. The Synagogue dates to the medieval era (XIV Century) and it’s the third of its age best conserved in Spain. Worth visiting. It is the most important Islamic monument of the west and together with the Alambra, constitutes the most incredible Andalusi architecture and the most visited in our country. It is the most representative building of Córdoba and, for this reason, was named Cathedral of Saint Mary of Córdoba and, nowadays, is Mosque-Cathedral. The Mosque reflects the splendour of the period. On this same land was first constructed the Visigoth Basilica of Saint Vincent. When the Muslim Empire gained power, the basilica was destroyed to give way for this magnificent monument. It is situated at about 8 kilometres west of Córdoba. Consisting of an old and Majestic city that the kalifa Abd-al Rahman III ordered to be constructed to symbolize his power, growth and independence towards his enemy. The city is surrounded by a wall, in which you can find the dwellings and the mosque. Everything was elaborated to the highest detail, and the kalifa did not hold back with materials: red marble, purple, gold and precious stones. In definitive, a splendid decorative work that still lasts and is the symbol of splendour that this city lived in the Andalusian period.